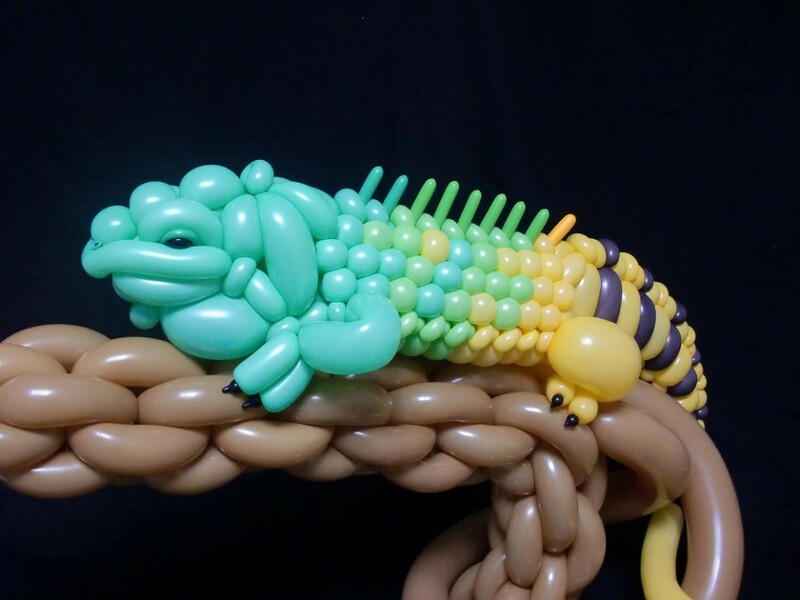 The clown you hired for your kid’s birthday party probably can’t make balloon iguanas with tiny scales, swirling three-story inflatable sculptures inspired by mythology, or floating illuminated installations that blink along with the music. 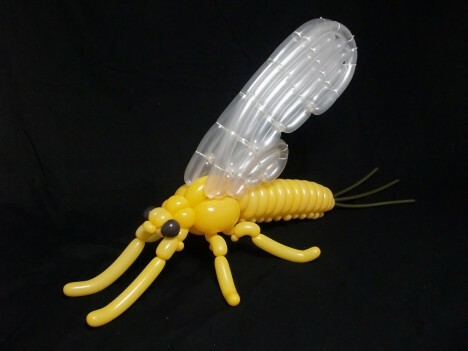 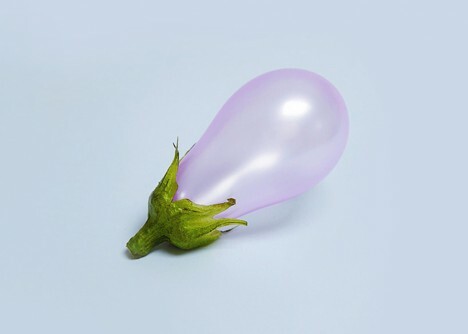 These blown-up works of art go way beyond standard balloon animals, elevating an iconic decorative element at parties to a respectable medium for sculptures of all sizes. 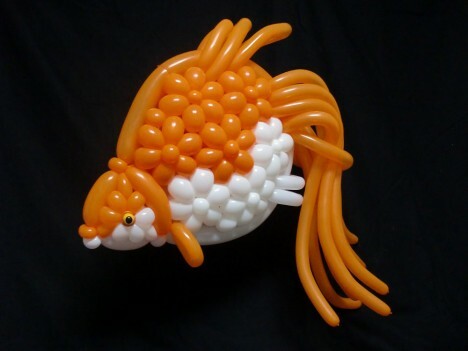 Our expectations of balloon animals will never be the same after seeing these incredibly detailed creations by Masayoshi Matsumoto. 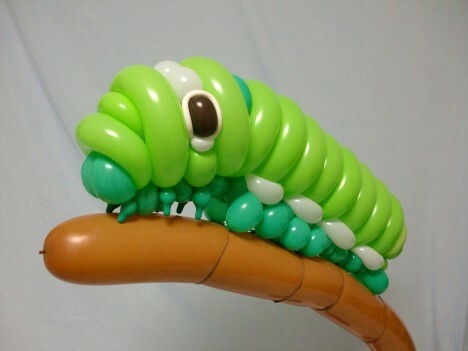 The artist uses nothing but balloons and transparent thread to replicate scales, toenails, whiskers, gills and other small parts of all sorts of creatures. 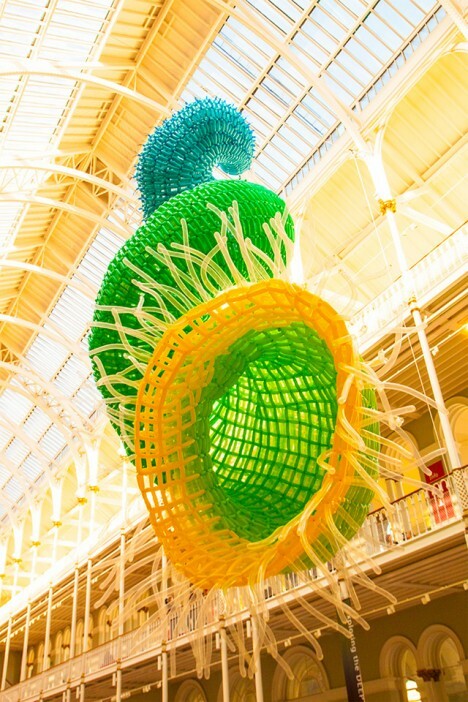 A swirling, organic form seemed to grow overnight in the Grand Gallery of the National Museum of Scotland following the installation of ‘Pisces’ by Jason Hackenwerth. 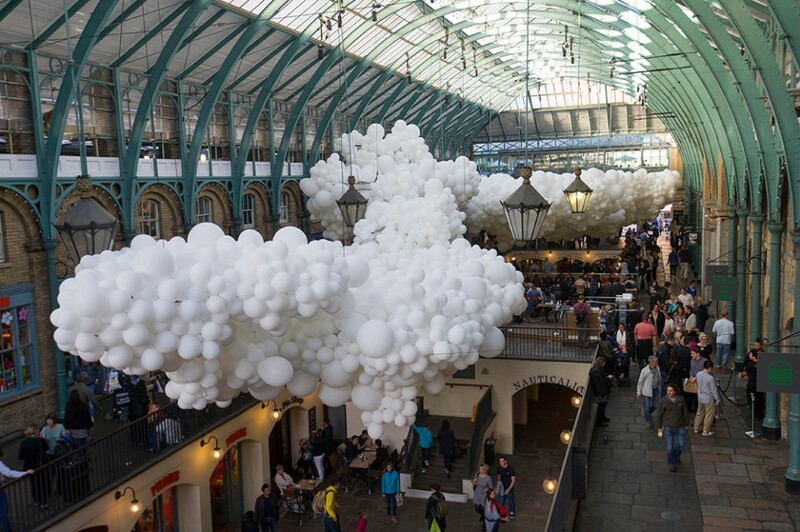 Made of 10,000 individual balloons that took three people nearly six days to inflate, the sculpture references the Greek legend of Aphrodite and Eros, in which they escaped the monster Typhon by transforming into a spiral of two fish. 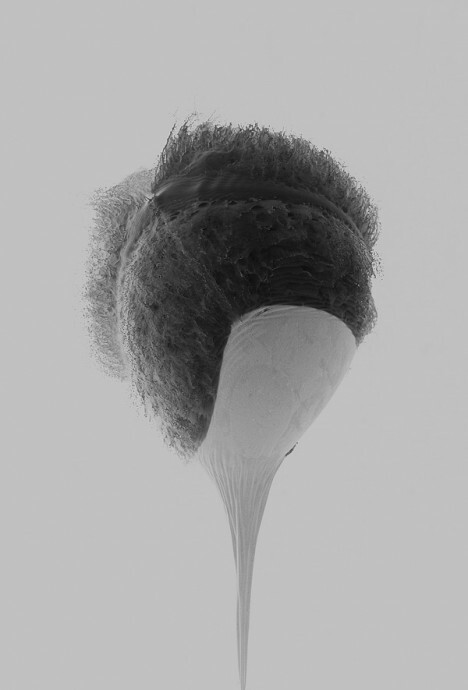 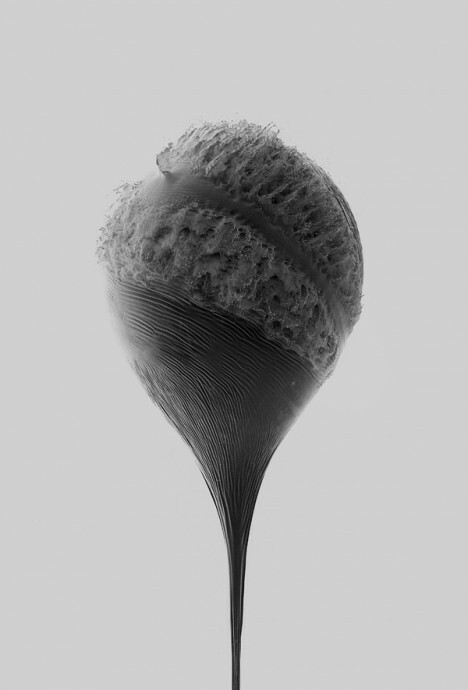 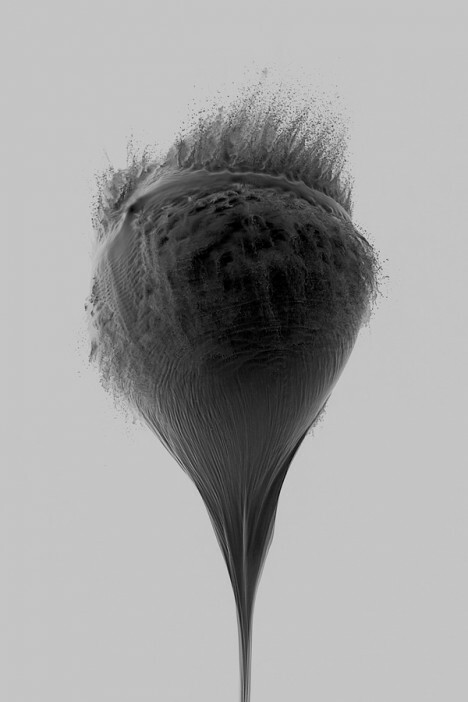 Balloons filled with milk are captured mid-rupture at high speeds by designer James Huse in a photo series entitled ‘An Abrupt End.’ It’s hard to tell exactly what’s going on here, with all of those textures swirling and splashing, but it’s fascinating to look at. 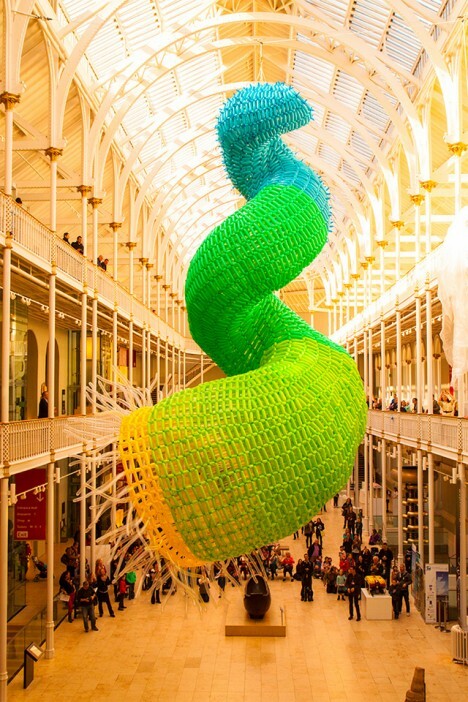 Artist Vanessa McKeown makes use of cast-off materials and items that can be found around the house, proving that ultimately, the most important aspect of creativity is the ability to stretch your imagination. 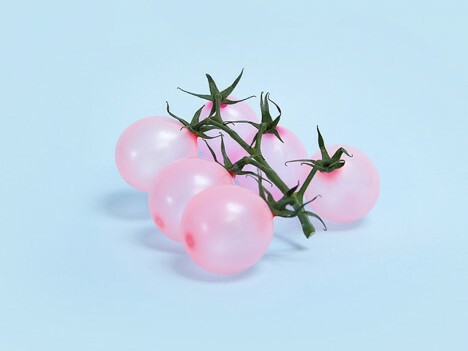 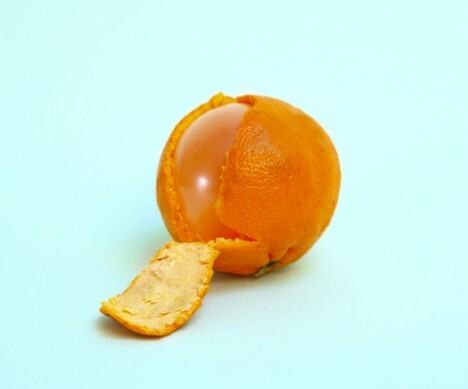 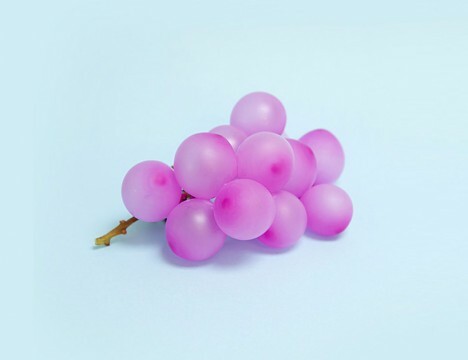 In this series, ‘Fruloons & Vegaloons,’ she carefully attaches balloons in the appropriate colors to real fruit and vegetable stems, and inserts an orange one in the perfect size inside a peel.